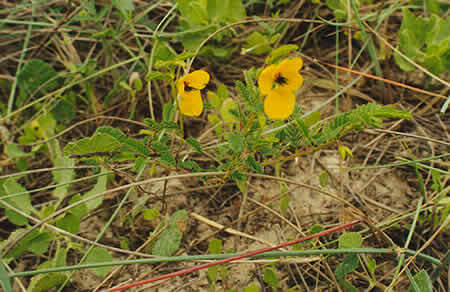 Have you ever noticed that the first plants to return in a plowed, scraped, or otherwise disturbed area are weeds? Exposed to air, light, and water, seeds that were lying dormant in the soil begin to germinate following soil disturbance. These young, succulent plants are high in nutrient value and attract a variety of wildlife species. 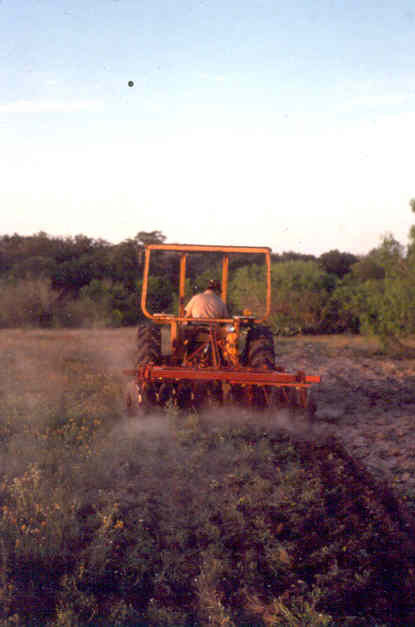 South Texas soils typically are deep, loamy sands conducive to tillage by the farm plow. Topography is generally flat to gently rolling as opposed to the steep, rocky draws and bottoms of the Edwards Plateau where soils are highly erodible. Thus, soil tillage is another useful tool when promoting the growth of desirable wildlife foods. Fallow discing - Shallow soil disturbance on open sites to encourage the growth of herbaceous (weed) growth. This method is cost-efficient and particularly effective for the management of bobwhite quail and other ground nesting birds. The technique is applied through the use of a conventional farm disc disturbing the soil to a depth of 4-6 inches. No reseeding occurs; rather the land is simply left to revegetate on its own using native seed stocks-much like plowing a field following the harvest. Seeded areas can also serve as a seed bank allowing native plants to distribute to other areas. Sunflower, ragweed, and croton are common forbs that respond to disking and are beneficial to wildlife. Establishment of food plots - Disturbed sites can also serve as excellent food plot locations to supplement native diets during the stressful late winter or late summer periods. Food plots are created by plowing an area followed by seeding with either native or introduced forages. Food plots typically serve two distinct purposes: attractant or supplement, as determined by the landowner's ranch objectives. Plots planted, as supplement should provide year-round forage for a variety of wildlife species, therefore mixtures are preferred. Most importantly, plots should be seasonal, accessible, and of appropriate size and shape for the targeted species. Food plots should not be used to increase a wildlife population to a level that cannot be supported by the native habitat. 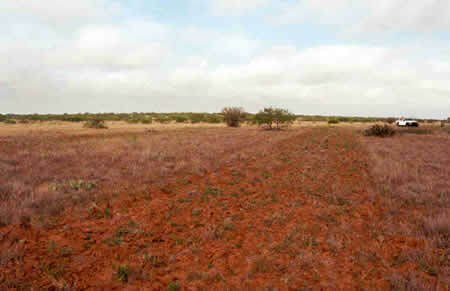 For more information on food plots, see Deer Management in the South Texas Plains.